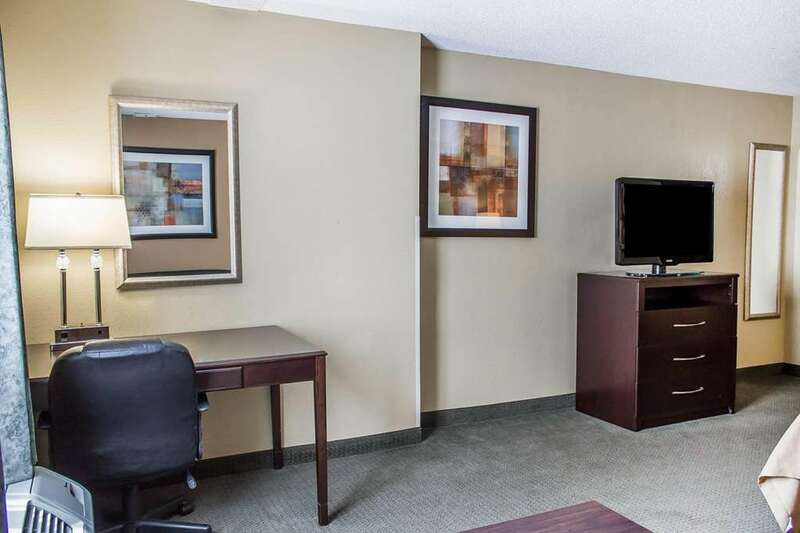 Behind every great day is a great night at the Comfort Inn and Suites Downtown in Columbus, OH. We are conveniently located near Nationwide Childrens Hospital and other key business destinations. Corporate travelers appreciate our business center with copy and fax services. You also will enjoy complimentary amenities like free WiFi, daily hot breakfast, a fitness center and laundry facilities. We invite you to relax in your guest room, which features a pillow-top mattress, microwave, refrigerator, coffee maker, hair dryer, iron and ironing board. Select rooms include sofa-sleepers. Also, earn rewards including free nights and gift cards with our Choice Privileges Rewards program.